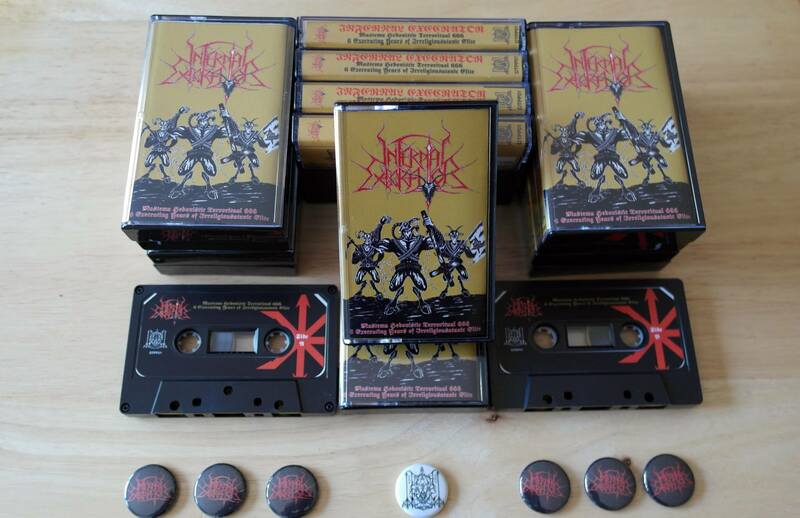 Irreligious black/death terror of Singahell, Infernal Execrator‘s six years anniversary compilation, “Mastema Hedonistic Territorial 666” has been re-issued by Death to Peace Productions from Canada. Only 100 copies of Pro Tapes (Product Code: DTPP001) have been re-issued and the first 33 copies come with a button. 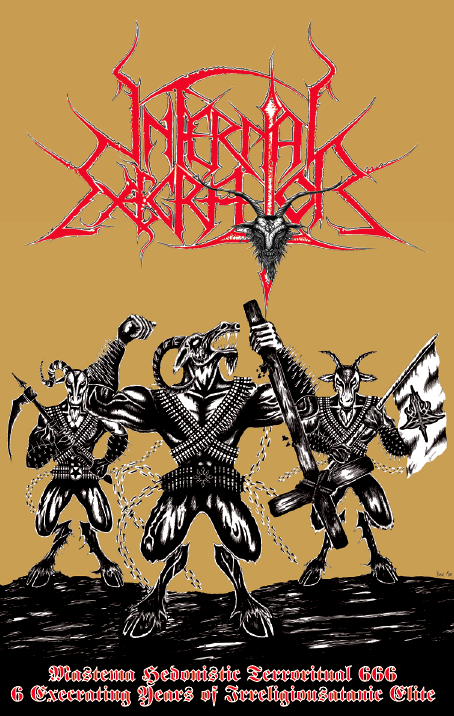 The Compilation was originally released from Evil Dead Production of Malaysia as CD format in the anniversary of 6 Execrating Years Of Irreligiousatanic Elite, Infernal Execrator.